trestling the mixer, the unit is easy to feed. 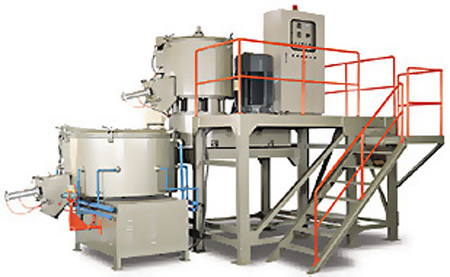 The machine is suitable for PVC mixing. High speed impeller blade design ensures excellent mixing effect.